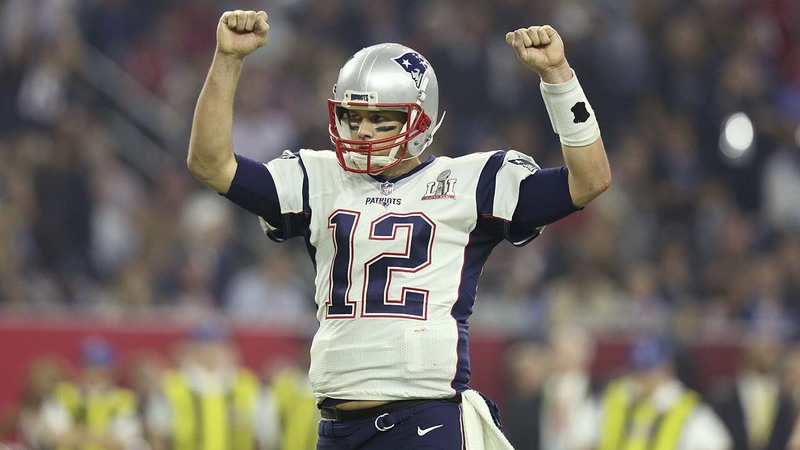 New England Patriots quarterback Tom Brady is having a little fun with the continued search of for his $500,000 Super Bowl jersey, also known as jersey gate. Brady shared a "suspect board" on social media with photos of people and animals that he suspects stole his jersey. "Case 0012, my missing jersey," he wrote on the board. Brady even calls out his teammate, Julian Edelman, writing that he will be looking into him as a suspect. Brady considered Lady Gaga's halftime performance since she was lowered into NRG Stadium writing, "Escape ropes" next to her photo. Other surprise suspects include Gollum, because he loves rings, and Jaws, because it takes things without asking. Remember the bizarre court drawing of Brady during the deflate gate trial? Well, Brady slapped that picture on the board as well naming "Creepy Me" as another suspect. It remains a mystery, but at least we have a few people in mind. Many of his fans got a kick out of the joke suspect board with some suggesting it could be NFL commissioner Roger Goodell. All joking aside, authorities have been taking the missing jersey seriously. According to the police report, the crime is listed as a first-degree felony. The summary on the police report states: "On 2/05/17, the City of Houston hosted Super Bowl LI in the NRG Stadium. Shortly after winning the game, New England Patriots quarterback Tom Brady noticed his game jersey missing from his locker in the Patriots designated locker room." Lt. Gov. Dan Patrick has asked the Texas Rangers to assist HPD in finding the jersey and it appears there's half a million reasons why.